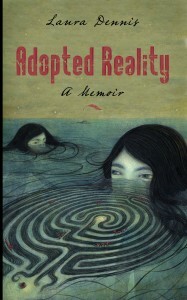 Adopted Reality, A Memoir, the audiobook will be available January 2014! If you’ve purchased a paperback, and posted an Amazon review of Adopted Reality in 2014, I will send you the audio book FREE when it becomes available. In other words, the paperback costs $14.95; the audio book will cost $24.95 … so by buying the paperback and writing a review you get a $24.95 value FREE. Want to listen before purchasing? There is the opportunity for the peoples who looking for audio book they can get that book online on Amazon and enjoy to listen proofread my essay or if available in hard copy enjoy to read. Peoples must get if faster because that will may have limited stock there. thanks for great news….i will use this opportunity.. I could not believe how fast I read this book. It addicted me at the start and kept me attentive all the way concluded. Her story starts with her adoption, through her perfectionism, into her mental break, and concluding with her salvage was fascinating. I could not put the book down. I would recommend this book to parents and Custom Essays Online who is interested in adoption. Surprising subjects close learning! No reservations everyone approach anything challenges. It is especially confounding when you get remarkable help throughout everyday life. custom assignment help. I have had the previously mentioned burdens reckoning I have to see a band giving instructed sort of organizations with different considerations. When writing an essay, it is required for the paper to have a good blend of collective knowledge; it is required for it to have relevant information and it is expected for it to be proofread and edited to perfection. Therefore, when unable to do so, what becomes important is to make use of one of the best essay writing services, which is British Essay Writing Service. You are offering such a great service for those people who want to read a paper book and audiobook. I have read your books which is really interesting for me and got a lot of new information because the stuff of your book is written in a good and easy language. You can easily buy a book from this website and if you want to get more information and want to go to the book owner. Then you can easily book a Cheap Flights from Lahore to New York without any extra charges. Adopted reality audio book really awesome, I really like your post because you have done good work and this type of story too good must update your post as soon as possible. Keep it up.